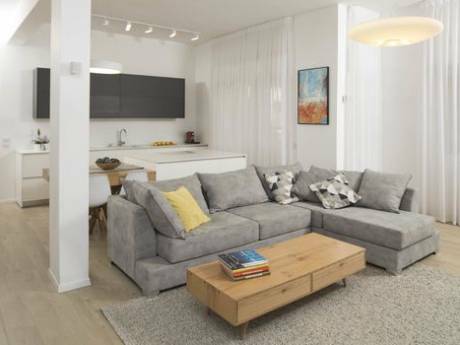 Unique 2 level modernised apartment in a famous a La Gaudi building on the beach front in Tel Aviv. Unobstructed view of the sea and a private gate to the beach. Ground floor contains spacious modern fully equipped kitchen, dining area and spacious room fully equipped with hifi and large 52" full HD TV screen connected to cables. A guest toilet and shower near the entrance. Upper level a huge bedroom en suite with big bath/shower/toilet/bidet. A large full HD flat bedroom TV' Ample closets and walk in cupboards. A special washing and drying room fully equipped with machines. Two separate studies/guest rooms with TV and Internet facilities. 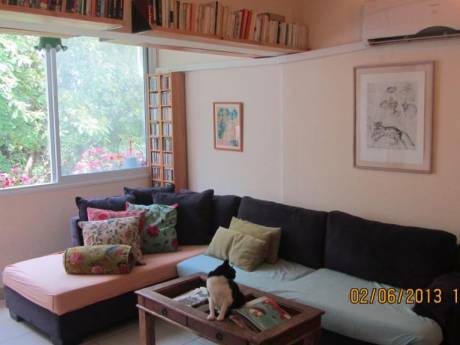 Big front windows facing the sea with a view of the garden and Tel Aviv Marina. Building has a lift and the apartment is located on the first floor from entrance but leveled three stories above Hayarkon street level. Close proximity to all shopping streets, clubs, theaters, museums, concert halls and the best restaurants in town. All within walking distance. Specially suitable for business people, diplomats ()next to all the embassies) and contract company directors. Possibility to rent an attached parking space. Photographs and further details on request. Seeking one year exchange in similar accommodation in Italy lakes area. Retired developer of real estate I reside with my life partner young Polish female photographer and we both travel a lot around the world and lived in USA, UK, South Africa and Poland. On the beach front right next to the Hilton Hotel and the Tel Aviv Marina. Walking distance and close proximity the British, USA, Russian, Swiss and Turkish embassies. 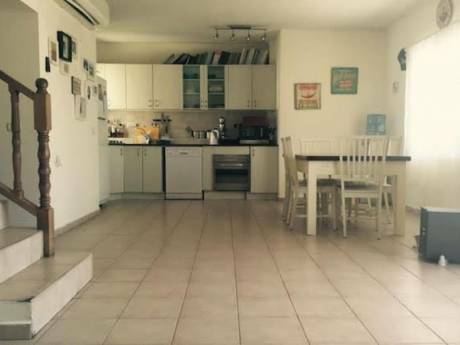 Walking distance to Dizengoff and BenYehuda shopping streets. Across the road from the Tel Aviv Promenade and the newly revived Harbour with its restaurants, shops and clubs. This the PRIME PRIME location in Tel Aviv!